We do have vouchers that are accepted with different discounts and offers.  Please read all Terms and Conditions thoroughly prior to your arrival to check it is valid at SEA LIFE Birmingham. Vouchers cannot be used in conjunction with any other promotional offers or deals. You must have a printed copy of your voucher and any other required items. We will decline to accept the voucher if all relevant items are not present.